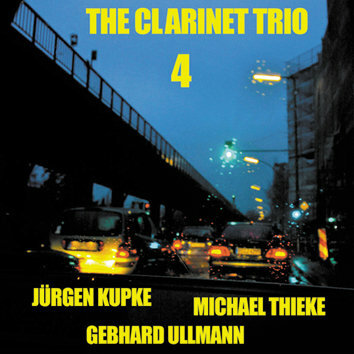 The fourth Clarinet Trio CD on Leo Records and the first one in eight years. Clarinet Trio is "like a microcosm of all my other work," says Ullmann. "I am still exploring the sound of woodwinds and the possibilities that lie in it - there is a lot of new vocabulary in this fourth CD. We are at a point where we can go on stage and just play, and it always has a very personal sound right away. Each of the members, with their different backgrounds and mastership on their instruments, as with any wind trio - or should I say trio - are as important as are the compositions."